Series 10 is shaping up as a great event! The top 12 male contestants each gave solo performances. 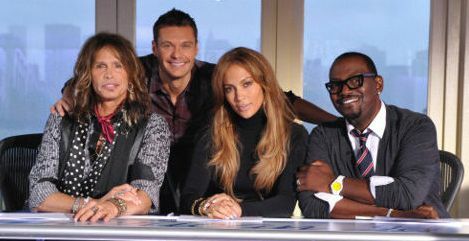 The show, now in its 10th season had a panel of new judges, and a whole new world of potential voters. Fans of the show have for a long while been able to vote via text message in addition to the original phone call method. But from now on those with a Facebook account will be encouraged to login, and are then able to cast up to 50 single votes online. The top 12 boy singers, out of the total 24 contestants still in the show, were very much on form to make their best impression on the internet voters. 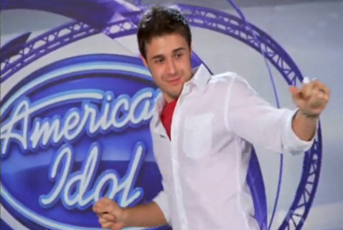 American Idol followers are excited as the show begins a highly eventful stage this week. Before the end of the week the present Top 24 will be honed down to just 13. That means lots of show-time and performances from all of them this week. Nigel Lythgoe (Executive Producer of “American Idol”) doesn’t foresee online voting altering the outcome of Idol. Phone calls will continue to be the show’s biggest voting source for the foreseeable future. However, we think that the numbers voting this way may surprise the shows production team. Tweeting and Facebook message posting is already highly active during shows and it will be so easy for those who already have their laptops in their hands to click a few more buttons and vote. Tonight is the night for the top 12 girls all of whom will get their chance to shine in tonight’s screening.